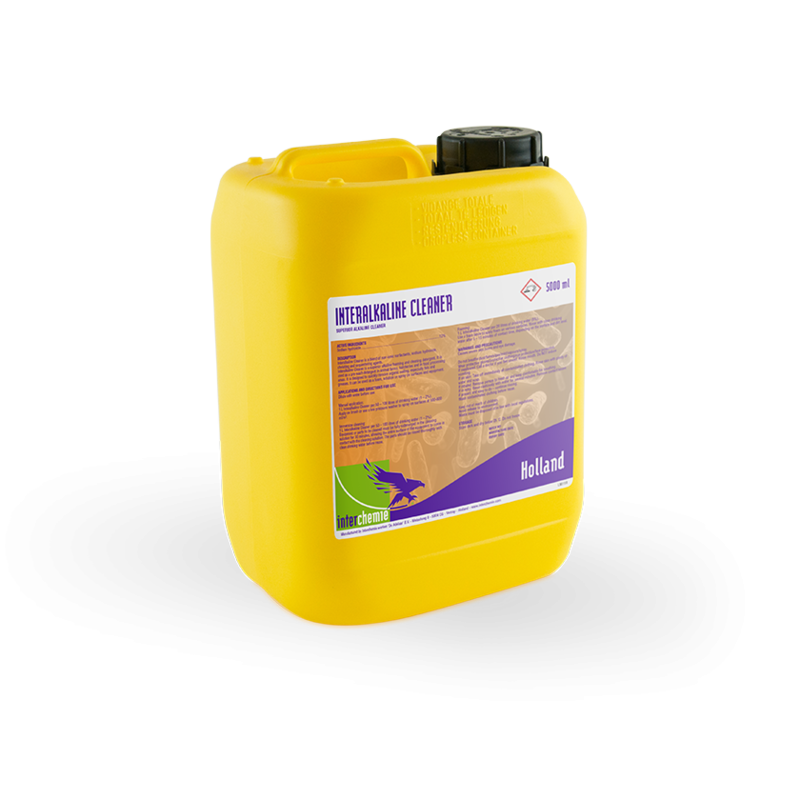 Interalkaline Cleaner is a Superior alkaline foaming and cleaning Detergent. It is used for pre-wash detergent in animal farm, hatcheries and in food processing areas. It is specifically designed to quickly removes organic soiling especially fats and greases. It can be used as a foamed or sprayed onto surfaces and equipment. Immersion Cleaning Interalkaline cleaner should be used at dilution rate 1:50-100 in immersion cleaning. Parts to be cleaned are placed in the cleaning solution to come in contact with the entire surface of the parts. Immersion cleaning is preferred for parts that must be placed in baskets and soak for 30 minutes before thorough rinse in portable water. Performances can be improved by moving the parts within the liquid. Foaming Prepare a working solution at dilution rate of 1:20 and use foam Lance for foaming. • Interalkaline Cleaner is classified as corrosive under EU regulation. • Do not breathe mist/vapours/spray. • Do not get in eyes and on skin. • Wear protective clothing, gloves. • Keep cool. Protect from sunlight.